'I don’t have enough time.' We’ve all said it before. “I don’t have enough time.” We’ve all said it before. Time poverty is a distribution issue. Many people hate being idle. They value productivity, so they glorify being busy. They seek out busyness for the sake of being busy. They sense a feeling that they are time-constrained, yet they are more time-affluent than they think. For many of us, the key reason we “don’t have enough time” is that we never adequately clarify how much time we should be devoting to the different things we most value. One of the biggest frustrations many of us feel is having too much to do, and not feeling like we have enough time to do it. We are overwhelmed. If you keep running out of time, it’s typically because you are spreading yourself too thin. Sometimes part of the conflict is not having a clear idea of what you should be doing first thing in the morning, or what could be postponed until midday. This can make you feel like you’re being pulled into a different direction. If you systematically set priorities for your week, or day, there will be enough time for your high-value work. Prioritization and organizing can lead to a more efficient allocation of time. Step back and figure out what is important to you. Get rid of the unimportant, de-commit, brainstorm long or short-term changes. You have all the time you need to create value, work on your best work and make an impact. Time is an asset. It’s a huge aspect of work you probably take for granted. Are you wasting, spending, or investing your time? You waste time when you focus on low-value work. You invest time when you choose to use it for activities that contribute to your long-term growth. “Time is the most valuable coin in your life. You and you alone will determine how that coin will be spent. Be careful that you do not let other people spend it for you,” says Carl Sandburg. When people see their time in terms of money, they often grow stingy with the former to maximise the latter. Interruptions like notifications, loud noises, social media, someone knocking on your door, and switching to check emails every now and then, break your flow. They’re just enough to pull your focus away and make you have to start over. Anytime you are pulled away from your tasks, it takes time to readjust to them when you jump back in — up to 25 minutes in many cases. Your life keeps diminishing while you waste your time feeding your distractions. Successful people prioritize! They focus! They disconnect from everything else to get tasks done. 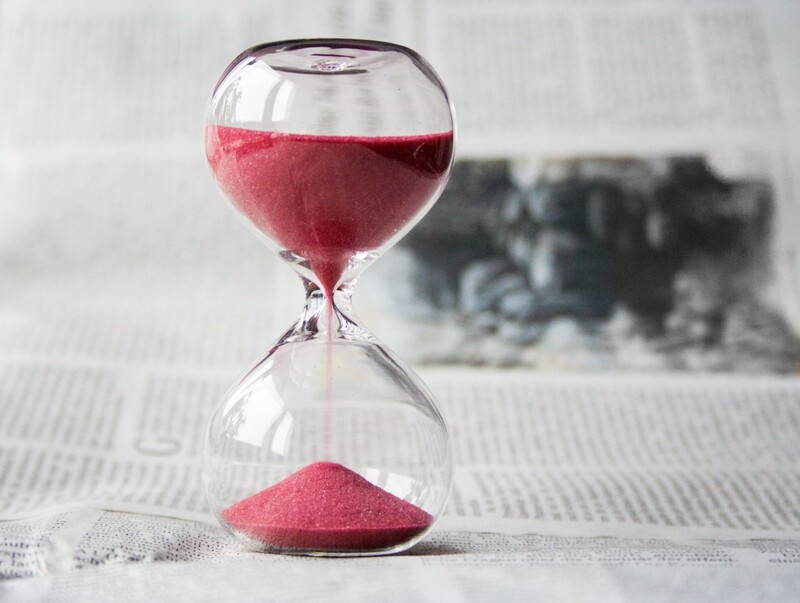 Beware of deceptive time-wasting activities that disguise themselves as your work; Lengthy discussions with colleagues, long meetings and treating other people’s work as “emergencies” when you should be concentrating on your high-value work. Writing in the first century, Seneca was surprised by how little people seemed to value their lives as they were living them — how busy, terribly busy, everyone seemed to be, and wasteful of their time. He noticed how even wealthy people hustled their lives along, ruing their fortune, anticipating a time in the future when they would rest. “Life is long if you know how to use it,” he counselled. Take control of your time and start distributing it right. Start by reviewing your daily routine. Track your daily activities for some time to clearly see where your time is being spent. Meetings, phone calls, emails, notifications, small chats, and many other distractions are constantly splitting your attention. Record ALL your appointments, deadlines, and everything in-between. Analyse the actual time you spend on each activity with what you think is the best amount for each. Schedule the heck out of your days. Schedule everything in advance. Make a plan and know what’s going on each day. Notice where time leaks, then declutter your routine. Revisit your schedule regularly. Check in with yourself weekly to see if your schedule reflects what you want it to. If you enjoyed this post, you will love Postanly Weekly (my free digest of the best productivity and self-improvement posts). Subscribe and get a free copy of my new eBook, “The Power of One Percent Better: Small Gains, Maximum Results”. Join over 31,000 people who are on a mission to build a better life. Founder at Alltopstartups.com and author of Working in The Gig Economy. His work has been featured at Forbes, Business Insider, Entrepreneur, and Inc. Magazine.